It is, in fact, true. But the details are rather boring compared to the sensationalistic headlines. From a marketing, PR, and crisis management perspective, however, the headlines are far more important, because perception is reality. (It’s a cliche for a reason.) If people think Hawaii isn’t safe, they won’t go. So what should a state do when being responsible could mean tanking the state’s $15.6 billion hospitality industry? We have emergency plans in place for everything from hurricanes to volcanoes. Recent tensions with North Korea made us aware that our disaster preparedness protocols lacked plans for a nuclear emergency, and we are now correcting that oversight. We are unaware of any immediate threat. I’m sure there are others I’m missing. Feel free to add them in the comments! Stakeholders can include both those directly affected as well as those playing a role in disseminating suggested content. While the overall content message should be consistent, it can be tweaked based on the needs and roles of each audience. We’ll take a look at a few of the most important audiences. Government employees probably face the biggest challenge: Taking emergency preparedness measures without being too obvious about it — all while being stopped and questioned by tourists so frequently that they fall behind on the tasks at hand. Any guidance on how to speak to the public would best be delivered through management in a top-down format, with each manager reminding his or her employees how important it is to stay on message. It’s also extremely important that managers take the time to listen, as front-line employees can provide valuable insights into what the general public is thinking and feeling. Appropriate avenues for reaching employees would include things like announcements, emails, meetings, and the company intranet. Meet and/or have a conversation with all agency and department heads to enlist their help and to offer suggestions on what and how they should communicate with their employees. Along with government workers, employees in the hospitality industry have the most direct interaction with travelers. Their main role will be to provide accurate information — without hype. The main content message for this audience should be, “Tell everybody to go have fun — we’ve got this!” The goal is to give hospitality workers tools they can use to reassure visitors that they don’t have to worry because Hawaii is monitoring and staying on top of the situation. This should be handled in much the same way as with government employees. Government officials should make contact with leaders in the hospitality industry, deliver the message, and ask them to share it with their employees via things like company meetings, emails, the company intranet, etc. Residents will necessarily play a major (if often unofficial) role in managing this crisis — partly because they’re the ones who keep Hawaii running smoothly on a day-to-day basis, and also because tourists will become even more concerned if residents seem frightened. If residents start fleeing the islands — or if visitors sense that residents are frightened — the hospitality industry will take a big hit. And it could take years to recover. This audience calls for mass communication through emails, alerts, PSAs, the state website, the media, etc. 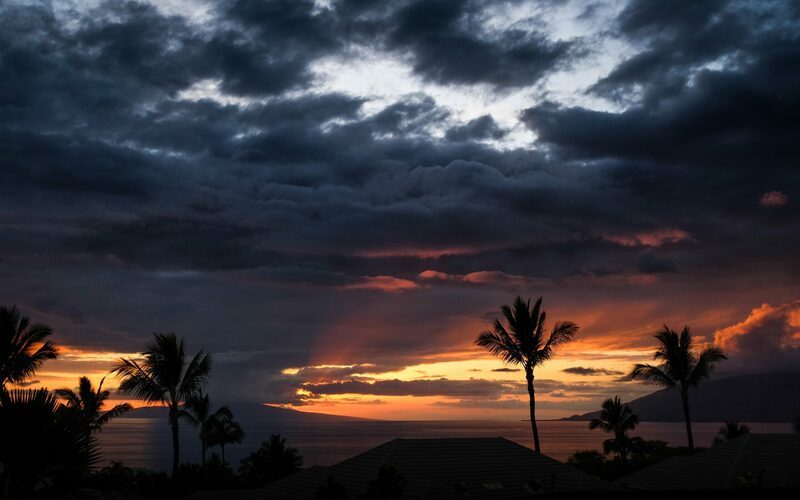 For all but the wealthiest, Hawaii is “the trip of a lifetime.” They’ve probably been saving for months — if not years — and have likely planned every detail of the trip. Canceling is the last thing they want to do (next to getting vaporized, of course), but they’re now reconsidering. The primary message for this audience should be, “We’re open for business, can’t wait to see you, and are working hard to keep you safe in all emergency situations, not just an unlikely nuclear attack.” Messages should also include “what if” instructions and a general description of what government agencies are doing to protect the islands. Being an island, Hawaii is very dependent on its supply chain working like it’s supposed to. From grocery store shelves to gas pumps, somebody has to deliver almost all necessities of daily life. If that supply chain breaks down because transportation workers are scared to come to Hawaii, things could get ugly very quickly. Rather than relying on mass communication, this message would be best delivered one-to-one through personal meetings, phone calls, and emails. Contact upper management representatives of all providers to discuss the situation and try to get a commitment to continue on a business-as-usual basis. If that’s not possible, work together to develop a contingency plan. Is this plan perfect? No. There are too many details missing, and I wanted to get this out while it’s still relatively fresh news. (So I may have rushed just a tad.) But between hurricanes, earthquakes, political unrest, terrorism, etc., I decided to go for the good instead of the perfect and hope that my readers would jump in with their own ideas! My hope is that this post will spark meaningful conversations about role of PR and marketing efforts in mitigating the downside of disaster preparedness. PreviousReady to give up on outsourcing content creation? Here’s your culprit.